In 1993, Martin Neira proposed the use of reflected GPS signals to estimate several geophysical measurements, such as ocean altimetry. The GNSS-Reflectometry (GNSS-R) technique was born. 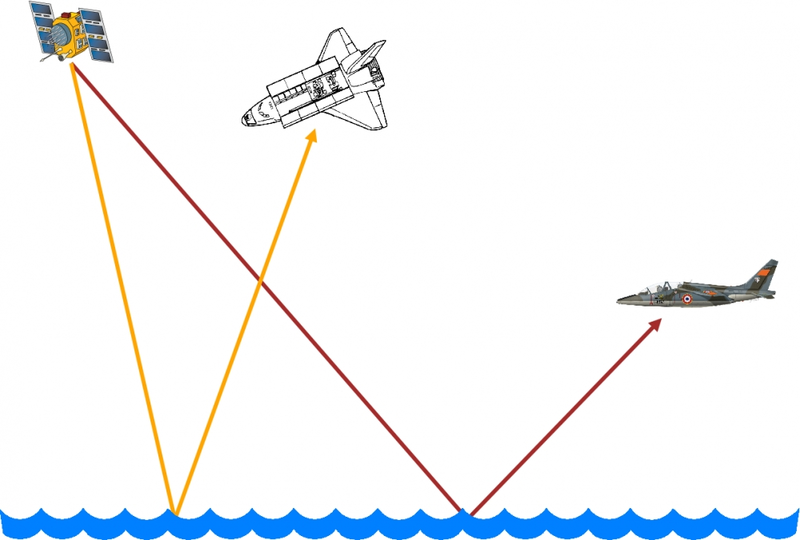 In 1994, a French Alpha-Jet fighter aircraft locks onto a GPS reflected signal over the Atlantic Ocean. Also in the same year, the first GPS reflected signal is measured from space. Since them, the range of applications for GNSS-R based applications has not stopped growing. Nowadays GNSS-R continues to be promising and growing application field for GNSS signals. Its range of applications includes altimetry, passive radar, soil moisture, and Biomass determination, among others. The key concept behind GNSS-R is the same as the one behind bi-static radar. There the receiver and there is the transmitter and the two are at different locations. The transmitted signal is reflected and acquires information about the characteristics of the reflective surface and any obstacles along the propagation channel. The reflected signal is then received by the receiver, which extracts the data about the reflected surface from the reflected signals. For the GNSS-R technique, the role of the transmitter is played by the GNSS satellites and the role of the receiver by the GNSS instrument. Worldwide availability and good ranging capabilities make GNSS signals appealing signals of opportunity for reflectometry applications. An Unmanned Aerial Vehicle is equipped with a combined Position-Reflectometry Galileo receiver used for positioning determination and as biomass sensor. 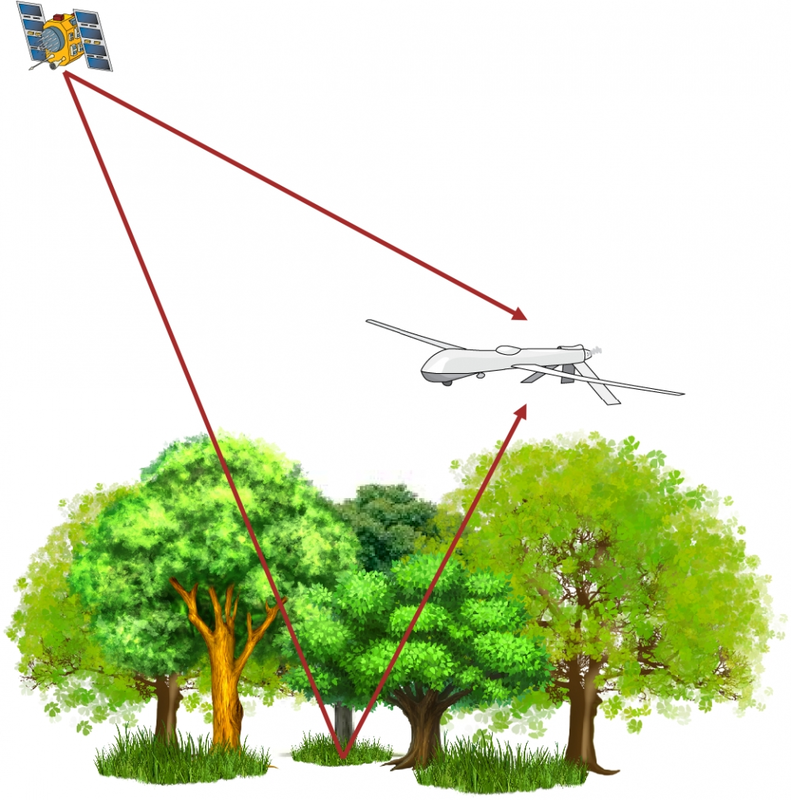 The GNSS signal transmitted by the GNSS satellite are reflected on the forest ground and are then received be the biomass sensor. The received reflected signals are shaped (distorted and attenuated) by the propagation through tree canopies, branches and leafs, and can be used to retrieve the biomass data acquired during the propagation. In past works GNSS reflected signals showed sensitivity to biomass. 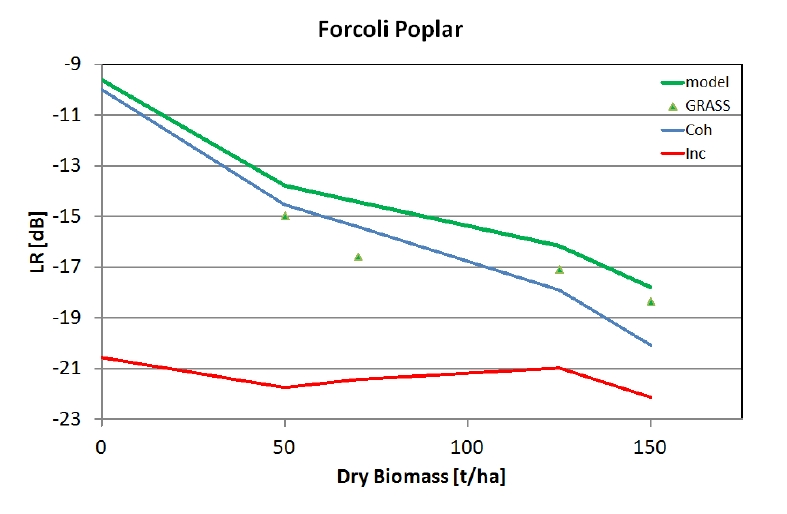 For instance, the GRASS experiment showed sensitivity to biomass of about 1dB every 25t/ha, up to a maximum Biomass of about 150t/ha.